The Duke Ellington School of the Arts is excited to announce that 10-time Grammy award winner Bobby McFerrin will headline Duke Ellington School of the Arts’ 8th annual Performance Series of Legends benefit concert on Wednesday, May 20, 2015 at 7:30pm at the Warner Theatre. Multi-faceted and multi-talented Bobby McFerrin has blurred the distinction between pop music and fine art, exploring uncharted vocal territory, inspiring a whole new generation of a cappella singers and the beatbox movement and dazzling audiences all over the world. He single-handedly redefined the role of the human voice with his a cappella hit “Don’t Worry, Be Happy.” Bobby McFerrin promotes an extraordinary experience through spontaneous performance, engaging audiences with creative energy. Its signature fundraising benefit concert, the Duke Ellington School of the Arts’ Performance Series of Legends has previously featured Dave Chappelle; Denyce Graves; Stevie Wonder; Earth Wind & Fire; Smokey Robinson; Patti Labelle; Sting and Paul Simon. Featured artists help to raise money for the school and also contribute to the artistic enrichment of students that work with them in performance or master classes. Last year, Sting noted “I’ve agreed to work with schools before and you always think ‘oh well they’re kids’, but this was of a higher order – the singing and the playing and just the commitment. And it was absolutely inspiring for us. I’m blown away!” The Duke Ellington School of the Arts has taken an innovative, entrepreneurial approach to fundraising in order to support its dual arts and academic curriculum, and continue the vision of its co-founders Peggy Cooper Cafritz and the late Mike Malone. Tickets ($50 – $150 each) are currently on sale at www.ellingtonschool.org. VIP Tickets ($250 each) and Sponsorship Opportunities ($1,000 – $75,000) are available through The Ellington Fund at 202-299-5663 or info@ellingtonarts.org. 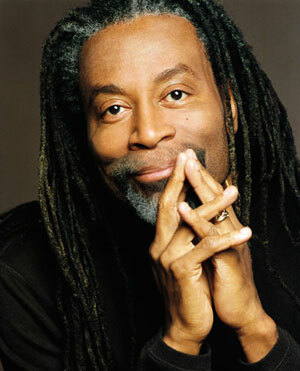 Sponsorships include invitation to a pre-performance master class and open sound check with Bobby McFerrin. ABOUT DUKE ELLINGTON SCHOOL OF THE ARTS: Since its inception in 1974, the Duke Ellington School of the Arts has upheld its mission of providing an exemplary arts and academic education to talented youth who may not otherwise have that opportunity. An independently operated public school in partnership with the Ellington Fund, George Washington University, The John F. Kennedy Center for the Performing Arts and DC Public Schools, it serves over 500 students from all wards of the District, Maryland and Virginia. At Ellington, students specialize in dance, literary media and communications, museum studies, instrumental and vocal music, theatre, technical design and production, and visual arts. With a graduation and college acceptance rate averaging 95%, Ellington is proof of what it means to successfully educate young people for the 21st century—in and through the arts.